Out of all the different neoboards in existence, it is said that the Pound Chat -- PC for short -- is the most confusing of them all. Why, what with the dozens of abbreviations and acronyms, it's more than enough to scare any newcomers away! This guide was made in hopes of helping you overcome those fears. Here you will find the most common terminology of the Pound Chat explained. These two letters are generally used an abbreviation for the words "seeking" and "offering." For example, if you see a board title that says "S: Blumaroos O: Fire Acara" it means that the creator of the board is looking for Blumaroos and is offering their fire Acara in exchange. This acronym stands for "up for trade" which is used when a person is looking to exchange their pet for another. Variations of this term include UFQT and UFVQT, which stand for "up for quick trade" and "up for very quick trade," respectively. People looking for quick trades usually end up trading within a few days or less. This refers to the "unconverted" pets, which is the old art style some pets were kept in after the Conversion of 2007. This is a trading term used when a person is looking to trade for a pet for one of the same species/colour -- just with a different name. For example, a name swap could occur if you were to trade FluffyKarenValentine1 the Darigan Aisha for 231SunshineBrights6754 the Darigan Aisha. Another common swap is a "gender swap," which is the same situation, only with a difference in the gender of the pets. A custom is where a person takes one of their pets (or creates a completely new one) and paints it a certain colour to trade with someone else. For instance, if a person is seeking baby customs, they are looking for someone to paint a pet baby and trade with them. Sometimes people seeking customs may already have a name they would like you to use and will ask you to create the pet for the custom. A term usually heard when offering on another's pets. If given this response, it means they like your offer but aren't completely sure yet and will get back to you later about an acceptance/rejection. Stands for "no thank you, good luck trading." This stands for "offer to beat" and is used to list the best offer(s) a person has considered for their pets. This is a type of indirect trade. For example, say that Person A has a Peophin, Person B has a Uni, and Person C has a Skeith. Say that Person A wants the Skeith, but Person C wants the Uni, and Person B wants the Peophin. So to settle out the mess, Person A would send their Peophin to Person B, Person B would send their Uni to Person C, and Person C would send their Skeith to Person A. This is a type of board you would make if you wanted to evaluate the offers you had received on your pet. It stands for "accept/reject/beat" and people who come to the board either tell the creator which pet(s) to accept/reject or they offer another pet that they think can "beat" the current offer(s). This is a term used for battledome pets (ones with high stats). "Labbed BD" pets are ones that have achieved their stats through the lab ray. Other terms used are "trainable" and "untrainable." Trainable means that the stats of the pet can be trained without having to increase the level by a large amount, and untrainable means just the opposite. In addition, pets with "even" stats have health, strength, and defense that's all around the same number. A term used for BD pets. HSD is the health, strength, and defense of a pet added all together. For example, a pet with 120 health, 86 strength, and 48 defense would have 254 HSD. When it comes to trading BDs, you use its HSD to determine the value. This stands for "Draik/Unconverted/Krawk." For example, if someone is seeking DUCKs, they would be looking for pets of that type. An acronym used for "royalgirl" and "royalboy" pets. This stands for "pirate draik egg" and is usually used in terms of someone offering a pirate draik custom with the egg. This stands for "fountain faerie quest" and is used for customs. Someone who has completed a fountain faerie quest and has access to the fountain can offer a FFQ custom, which is any colour the fountain has available. This is generally the highest value of pets that trade on the PC. It stands for "unconverted plushie/royal/draik/krawk," and they will usually only trade for pets of the same tier. This is used to describe pets whose names are a "real word," such as Dream or Fish. The more common they are, the better they trade. This is used to describe pets whose names are a "real name," such as John or Elizabeth. Again, the more common, the better. This term stands for "very well named," which means the name format of a pet is short, pronounceable, and the first letter is the only one that is capitalized. Stands for "well named." Well named pets will generally have longer names than very well named ones and may even be slightly unpronounceable (ie, have two consecutive letters that are the same). However, they will have no numbers or underscores. Stands for "decently named." Pets of this status may have an underscore, a number, or a few areas within their name that are unpronounceable. Stands for "badly named." These pets will have random names scattered with numbers, underscores, and maybe even varying capitalization. Some pets, such as 7248JuMba_JUMBAina_truck33, may even be considered VBN, or "very badly named." While surfing through the PC, you may also notice pets labelled as 2L/3L/4L/5L. This means the pet has a certain number of letters in it's name. For example, a 2L pet's name is comprised of only two letters. This stands for "up for adoption" and is used by people looking to find their pets a new home. Pets that go ufa can be applied for, and the foster will choose someone to be the pet's new owner. Variations of this term are UFQA and UFVQA, which stand for "up for quick adoption" and "up for very quick adoption." A person who is "downsizing" is looking to adopt out some of their pets in order to create more room on their accounts or get rid of pets they no longer want. If you see a board titled "downsizing," you can probably expect to find some pets ufa. An abbreviation for the word "application." Applications are generally how you acquire pets that are ufa, unless the owner has a different process they want you to use. Apps usually include your plans for the pet and a bit about yourself. People who "pound surf" look through the pound in search of pets people may want to adopt and post them on a board. This includes pets with short, pronounceable names and painted pets. The term "dry" is used when there are little pets to be found. Accordingly, the term "wet" is used when there is a wide variety of wanted pets in the pound. 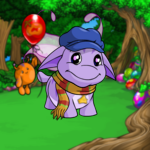 These are pets who are in the Pound, but do not show up while browsing. To find them, you have to type their name directly into the Search box. This is used to describe pets people adopted from the pound out of impulse. You'll find that most people who do this are very unsure and may even end up pounding them once again. So there you have it -- the most common terminology of the Pound Chat! I hope I was able to help clear up some of your confusion, and hopefully you're no longer daunted by board titles solely made up of these abbreviations. See you on the PC! Happens to the best of us, darling. "I always knew I was a small Xweetok, but how did I get overlooked amongst the items? We are going to have to have a serious talk about cleaning this place out when I get out."